My family and I had the opportunity to see an early screening of Disney-Pixar’s COCO, which comes to theaters this week! Although our movie admittance was covered, no other compensation was received and all thoughts and opinions about the movie are my own. Coco is all about the importance of family. There’s really no better message for kids! I love the focus on remembering and finding out about your ancestors. 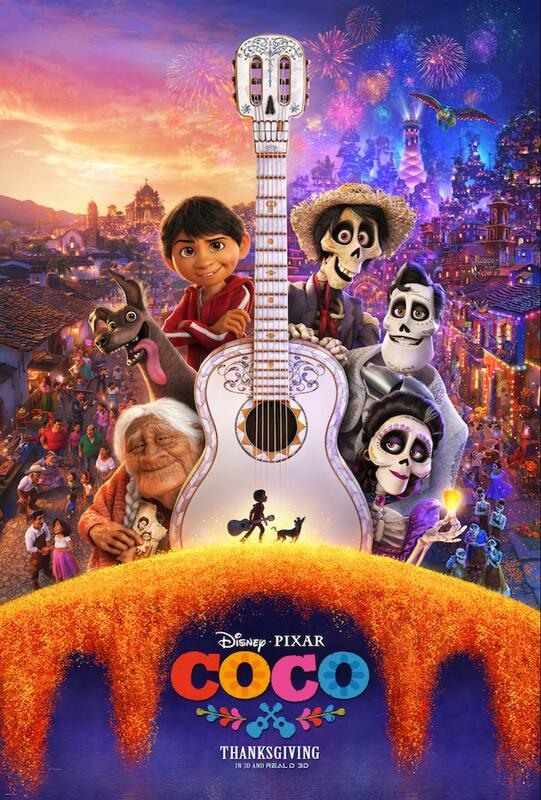 Coco is full of toe-tapping, feel-good music! I can’t wait to get the soundtrack! Coco is entertaining and funny for ALL ages. I love finding movies that can hold the attention of kids as well as adults, and this movie delivers. Coco encourages everyone to follow their dreams. Miguel has a passion for music, and despite obstacles in his way, he continues to pursue his dreams. Like everything Pixar does, the story was unique, enjoyable, and not at all what any of us expected! 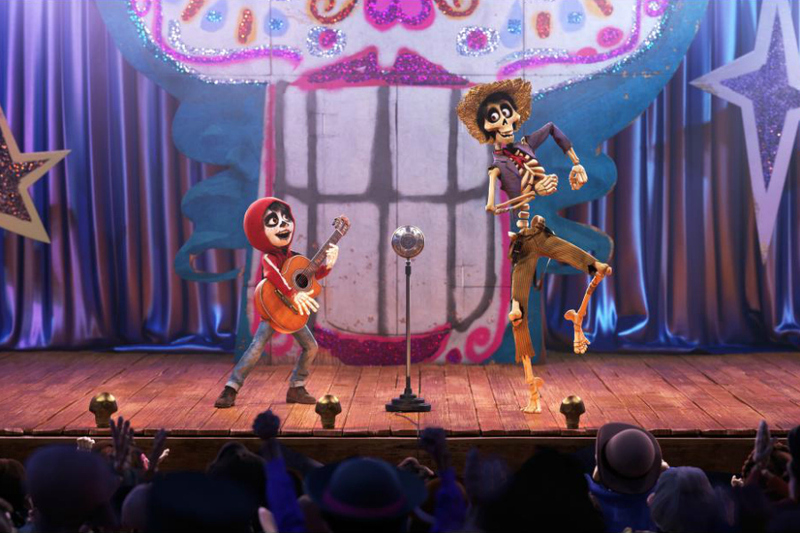 COCO (Pictured) – DON’T FORGET THE SHOES – In Disney•Pixar’s “Coco,” Abuelita (voice of Renée Victor) and Miguel (voice of Anthony Gonzalez) ensure that their home is adorned for Día de Muertos, including an elaborate ofrenda that holds several framed family pictures, flowers, candles, favorite foods and—because they are in the shoemaking business—shoes. “Coco” opens in n U.S. theaters on Nov. 22, 2017. ©2017 Disney•Pixar. All Rights Reserved. My whole family wholeheartedly endorses Coco, and we highly recommend that you see it in theaters this holiday season! We saw the movie in 2D, but it is also available to watch in 3D. I loved the movie as it was, but I’m eager to see how 3D would enhance the experience! This is definitely a movie we’ll be adding to our home movie collection! Enjoy these COCO-inspired activities and printables! Click on any of the images below to download the full size versions of these activities, including a recipe, printable family tree, coloring pages, and more! COCO opens in theaters everywhere on November 22nd! I’m looking forward to seeing this after watching the trailers. This movie looks cute! I’m glad to hear it’s good. I heard this movie is very heartwarming! Looking forward to seeing it. Such a fun movie! This looks like a good one my family is going to love! We saw this movie and absolutely LOVED it! What a sweet family movie reminding you of the importance of putting family first. This movie looks really cute. Thank you for the printables! I want to see this movie with the kids! What a cool looking movie and the printables are awesome! This looks like a great movie to take my grandsons to see. They will love the printables.